You LOVE your Harley® motorcycle right? So why give it anything less than Premium Service? 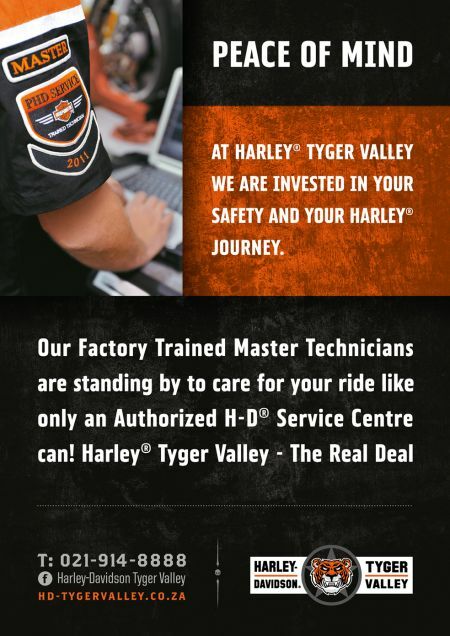 At Harley® Tyger Valley we are invested in your safety & your Harley® journey. Our Factory Trained Master Technicians are standing by to care for your ride like only an Authorized H-D® Service Centre can! Harley-Davidson® Tyger Valley - The Real Deal.